My neighbor saw me in my pajamas. He was outside smoking a cigarette. My cat slipped out under the fence again, so I had to go outside and walk around to the other side of the fence to get her. And I was in my pajamas. 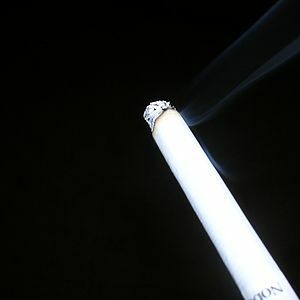 Through the puffs of smoke I heard “Why don’t we go out sometime?” I almost choked from the cigarette smoke. He’s married. Cigarette smoke is bad for you. Seriously. I told her not to go under the fence! She didn’t listen. She knows she was bad. And now I’m not talking to her. Bad kitty. This entry was posted in Uncategorized and tagged Cigarette smoke, Health, Life, Personal, Smoking. Bookmark the permalink. What a !@#! … Well, hopefully, you were wearing a flannel nightgown.